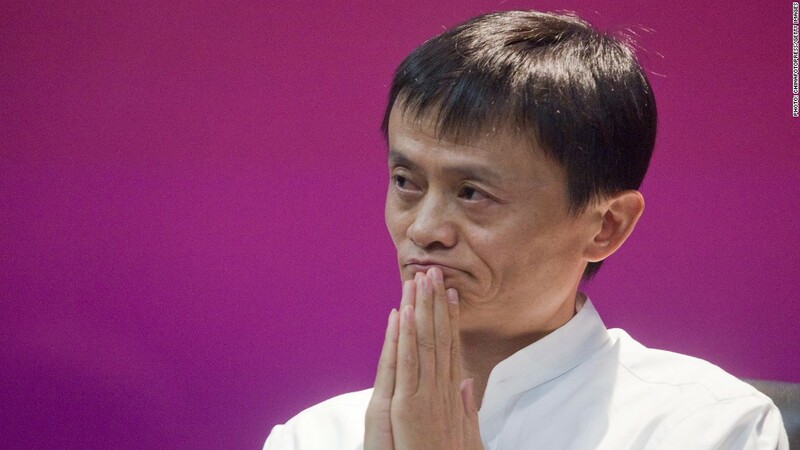 Jack Ma's company, Alibaba, has made numerous investments this year ahead of its IPO. Alibaba co-founder Jack Ma has gone on a multi-billion dollar shopping spree in recent months, snapping up companies left and right ahead of the retail giant's much-anticipated IPO. The latest? Ma's company has taken full control of UCWeb, a Chinese mobile Internet firm that operates a popular search engine. Alibaba, which already owned 66% of UCWeb, announced Wednesday that it had purchased the remaining stake. While Alibaba did not disclose the purchase price, the company claimed the deal "creates the biggest merger in the history of China's Internet sector." "This is a very natural step for Alibaba, because their competitors are already doing so much with Internet search," said Nicole Peng, an analyst at tech research firm Canalys. The UCWeb deal follows a slew of other acquisitions by Alibaba, which has filed plans for a New York IPO that could value the company at more than $100 billion. Alibaba has already shelled out $5.2 billion on 12 deals in the first half of the year, according to Dealogic. That's four times more cash than the company spent in all of 2013. The buys have covered a variety of sectors, including online video, television production, digital mapping and retail. Just last week, the company purchased a stake in Guangzhou Evergrande Football Club, the top soccer team in China. Why is Ma spending billions ahead of the company's market debut? It's all about turning Alibaba into China's one-stop Internet destination. "They want to diversify themselves into broader digital content and services, rather than purely a e-commerce platform," said Peng. "In the end, they still want to make themselves the one platform that can offer all these services as people start to consume more content." Peng said the acquisitions are designed to build on Alibaba's existing e-commerce business, and help the firm learn to operate in new areas. It also gives the company the licenses needed to distribute content. Alibaba rival Tencent, which operates WeChat, a messaging app that has become a popular social network in China, has been on a shopping spree of its own. So far this year, Tencent has announced 11 deals worth around $5 billion, according to Dealogic. Investments have targeted mobile gaming, social media, e-commerce and more. Alibaba needs to keep an eye on what Tencent does, but Peng expects Ma to make even more acquisitions as the Hangzhou-based company branches out.